If you’re a lawyer, you know how important it is to stay on call 24/7. At any moment, one of your clients may need to contact you regarding an emergency situation. It could be a a request for immediate legal intervention and advice, or something as serious as an injury or an arrest. Whatever the situation may be, you know that it is imperative to be there for your clients when they need you the most. This is why utilizing Live Answering Network’s (LAN) legal answering service may be one of the smartest decisions you could ever make for your law practice. If you are like most lawyers, you operate a law office in town and are only available during regular business hours. On some days, you may also be out of the office for several hours, arguing a case in court or visiting with clients in person and have no way of being notified of an emergency situation until you return to the office hours later. Missing calls is bad for your practice and can cost you tens of thousands of dollars in lost clients. Furthermore, your current receptionist can only do so much to help you. It’s time to take your practice to the next level and rise above the rest by utilizing an answering service that can professionally handle calls both day and night. When you sign up with LAN, your clients will receive prompt service by our highly- trained staff, who will answer each call with attentiveness, care and concern. You have the choice of having a live operator patch your client’s call through to your cell phone or landline phone, so that they can obtain immediate legal assistance, or having notification of calls sent to your phone via text message or email. Your clients can rest assured that their private information will be kept confidential, and furthermore, they will never know that they’re speaking to an answering service as each virtual receptionist will answer the phone with your office name. Instead of hiring another receptionist to answer calls during peak times or after hours, utilizing LAN’s high-quality legal answering service can help save your law practice a lot of money and eliminate further frustrations with payroll and taxes. In fact, we guarantee that that we have the lowest legal answering service rates anywhere. Unlike most answering services, there are no contracts, no set-up costs and no per-minute fees! Each package comes with a free local phone number, which is your own specialized forwarding number. 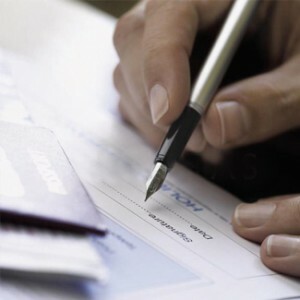 We accept Visa, Mastercard, Discover and American Express, as well as e-checking. Everything is simple, easy and convenient! We can have you set up within 24 hours, so that you can begin benefiting from our superior services as soon as the next day! 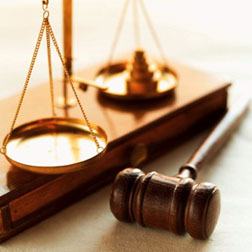 As a lawyer, we know that you demand professionalism and accuracy, and you can depend upon LAN for both. We promise that you will be completely satisfied with the quality of our service, and you’ll be amazed at how little you’re paying for it. When you sign up with LAN, you will be one of the few lawyers in your area — if not the exclusive lawyer — that can tout being available 24 hours a day. While other law offices cannot be reached after hours, thus turning away a number of clients and potential clients, people will be turning to you because a live operator actually answers the phone! Our telephone answering services help to build your reputation in the community as being dependable and reliable. Callers will be pleasantly surprised that a receptionist answers the phone instead of machine, and will be pleased at how quickly they can get in touch with you. Whether you’re a criminal defense attorney, accident attorney, tax attorney, civil rights attorney or other professional in the legal field, it’s time to finally make your law office the leader in the community. Utilizing LAN’s legal answering service may be just what you’ve needed for so long to take your practice to new heights! Give us a try! You’ve got nothing to lose — except all those missed calls!